Throughout the world, there are phoneticians who have been influenced by the teaching, research, and writings of John Laver. Many have worked with him personally, and most of the contributors to this book are people with whom he has had special links or whose involvement represents an appreciation of the breadth of Laver's interests. 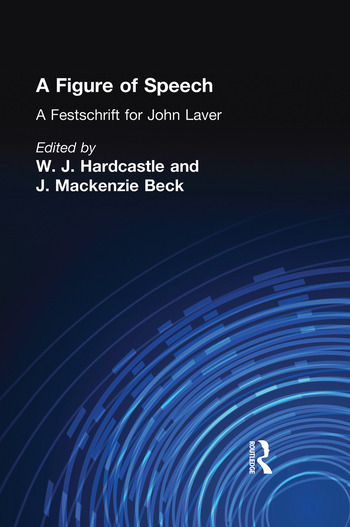 While the book is meant to be a tribute to John Laver, the topics have been chosen to provide an overview of some key issues in phonetics, with illuminating contributions from some of the most influential academics in the field. Contributing to this festschrift are William Hardcastle, Janet Mackenzie Beck, Peter Ladefoged, John J. Ohala, F. Gibbon, Anne Cutler, Mirjam Broersma, Helen Fraser, Peter F. MacNeilage, Barbara L. Davis, R. E. Asher, E. L. Keane, G. J. Docherty, P. Foulkes, Janet Fletcher, Catherine Watson, John Local, Ailbhe Ní Chasaide, Christer Gobl, John H. Esling, Jimmy G. Harris, and Francis Nolan. Contents: R.E. Asher, Foreword. J. Laver, List of Publications. B. Hardcastle, J.M. Beck, Introduction. Part I: Instrumental Evidence for Phonetic Theory. P. Ladefoged, Speculations on the Control of Speech. J.J. Ohala, Phonetic Explanations for Sound Patterns: Implications for Grammars of Competence. W. Hardcastle, F. Gibbon, Electropalatography as a Research and Clinical Tool: 30 Years on. Part II: Cognitive Aspects of Phonetic Processing. A. Cutler, M. Broersma, Phonetic Precision in Listening. H. Fraser, Representing Speech in Practice and Theory. P.F. MacNeilage, B.L. Davis, A Cognitive-Motor Syllable Frame for Speech Production: Evidence From Neuropathology. Part III: Phonetics in Social Interaction. R.E. Asher, E.L. Keane, Diphthongs in Colloquial Tamil. G.J. Docherty, P. Foulkes, Glottal Variants of /t/ in the Tyneside Variety of English. J. Fletcher, Exploring the Phonetics of Spoken Narratives in Australian Indigenous Languages. J. Harrington, S. Palethorpe, C. Watson, Deepening or Lessening the Divide Between Diphthongs: An Analysis of the Queen's Annual Christmas Broadcasts. J. Local, On the Interactional and Phonetic Design of Collaborative Completions. Part IV: Voice Quality. J.M. Beck, Perceptual Analysis of Voice Quality: The Place of Vocal Profile Analysis. A.N. Chasaide, C. Gobl, On the Relationship Between Phonatory Quality and Affect. J.H. Esling, J.G. Harris, States of the Glottis: An Articulatory Phonetic Model Based on Laryngoscopic Observations. F. Nolan, Forensic Speaker Identification and the Phonetic Description of Voice Quality.